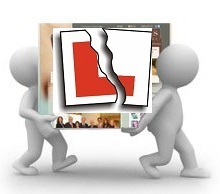 Russ Chaplin's Driving Instructor Blog: No More Web Woes for this Driving Instructor! No More Web Woes for this Driving Instructor! 2015 was a year of dealing with problems and overcoming them. Not a bad thing as I have learned a lot about how to complain properly and take positive action even if it means a lot of time and effort. Last piece of the puzzle was getting my website away from incompetent people who refuse to acknowledge phone calls, texts and emails. A couple of months ago I found that I just could not update my website. All kinds of errors popped up and as it's an important part of my business I simply couldn't let the situation carry on for too long. After about 6 texts, 3 emails and a bunch of ignored calls to my web designer and his imaginary team I decided it was time to migrate my site to another host. I've read some nightmare stories about migrating websites. It can really mess things up but I had no choice but to take this route. I contacted the people at GoDaddy and bought a hosting package. I was told migrating would be easy and nothing to worry about. The problems started immediately when the website failed to migrate. Seems the old company had put blockers on it to prevent escape. I tried to back up the files myself and do it manually but to no avail. I contacted the excellent customer services at GoDaddy and stayed on the line while they migrated it for me. A nice guy talked me through the whole process and it was done. I didn't realise my URL was still pointing to the old site which is what I was looking at through the browser. Took me a few days before I noticed actually. Another phone call got the URL pointing to the right place and no website. Just an error message. Back on the phone to disable the plugins so I could finally look at the migrated site. I've got to say my heart sank. Lots of bits missing and hyphenated text that didn't fit on the page and pictures all over the place. After a small time spent in contemplation I decided to do a redesign and make an even better website. A new header image and text for starters. Picking my way through each page and re-spacing things to fit took a fair few hours of laborious and tedious work. The end result is well worth it I think.